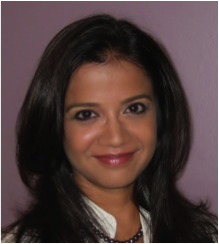 Pratichi Shah is an HR strategist and thought leader with twenty-five years experience in all aspects of talent management, human resources, and organizational development in the nonprofit and for-profit arenas. Pratichi is the founder and CEO of Flourish Talent Management Solutions(FTMS), a firm focused on increasing impact through talent strategy development; strategy and culture alignment; training and organizational development; and coaching for executives and emerging leaders. FTMS works exclusively with the nonprofit and philanthropic communities and has helped to strengthen the impact of national and global organizations focused on issues such as civil rights, international development, social service, health research, women’s rights, education, environmental conservation, and public policy. Prior to launching FTMS, Pratichi was the Chief Talent Officer (CTO) for Independent Sector, a nonprofit membership coalition that leads and mobilizes the charitable community. As the CTO, she led all human capital programs and processes for the organization, resulting in significant culture change and greater employee engagement. Before returning to the nonprofit sector, Pratichi was the Global Director of the Employer of Choice function for Willis Towers Watson (then known as Watson Wyatt Worldwide) and was part of the organizational Effectiveness department at the George Washington University and Hospital. Pratichi often speaks about talent issues, has been published in the Chronicle of Philanthropy and Stanford Social Innovation Review, and has been quoted in the New York Times annual “Giving” section regarding talent trends within the nonprofit sector. As an involved community leader, Pratichi serves on the Boards of Directors for the League of American Orchestras and Pro-Inspire, and on the Advisory Council for Fund the People (formerly the Talent Philanthropy Project). She holds an MBA in Human Resources from American University, a BA in the Psychology of Management from Eckerd College, and an executive coaching certification from the Newfield Network.